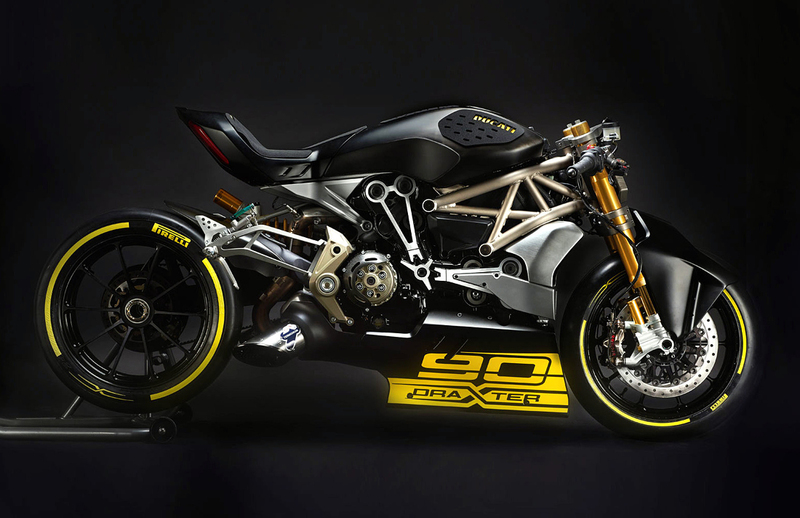 A dream machine born from two different motorcycle modalities, Ducati’s Draxter concept bike is a beautiful beast. 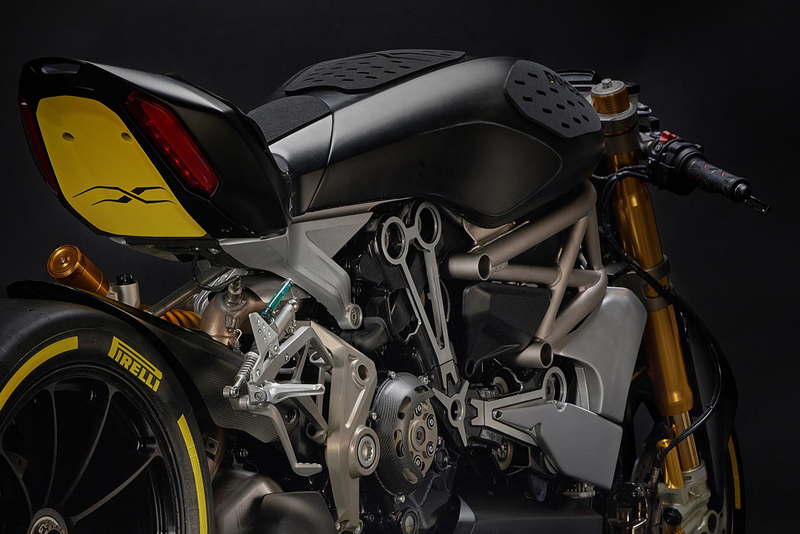 Built from the new XDiavel, a feet-forward, knees-in-the-breeze cruiser (the first of its kind for Ducati), the Draxter drops the casual part of the equation and takes its body design and component cues from the brand’s Panigale Superbike. 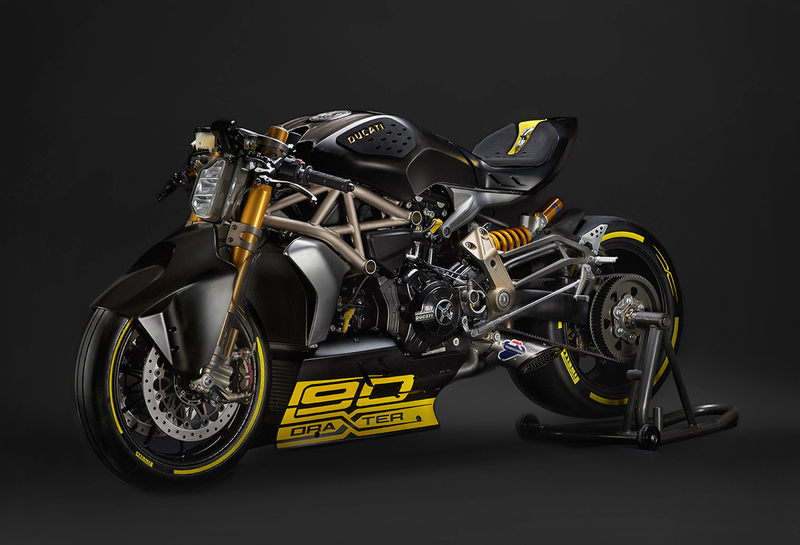 With drag racing in its DNA, the Draxter is dressed out with the Panigale’s suspension and brakes while powered by the same 156 hp, Ducati Testastretta DVT 1262 engine that drives the XDiavel. 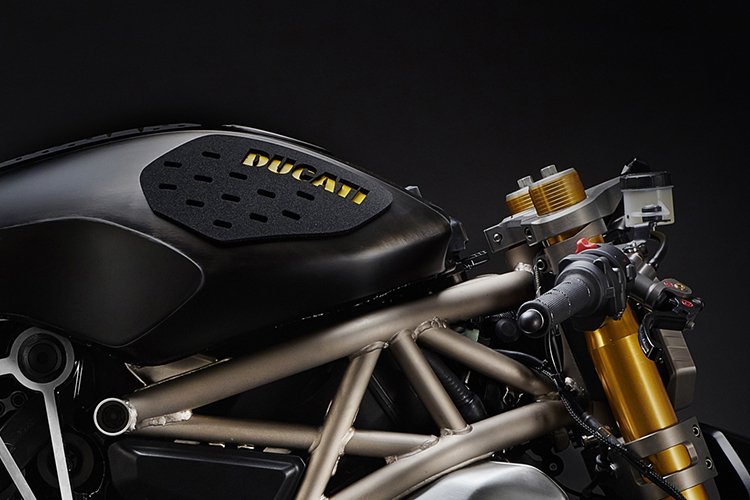 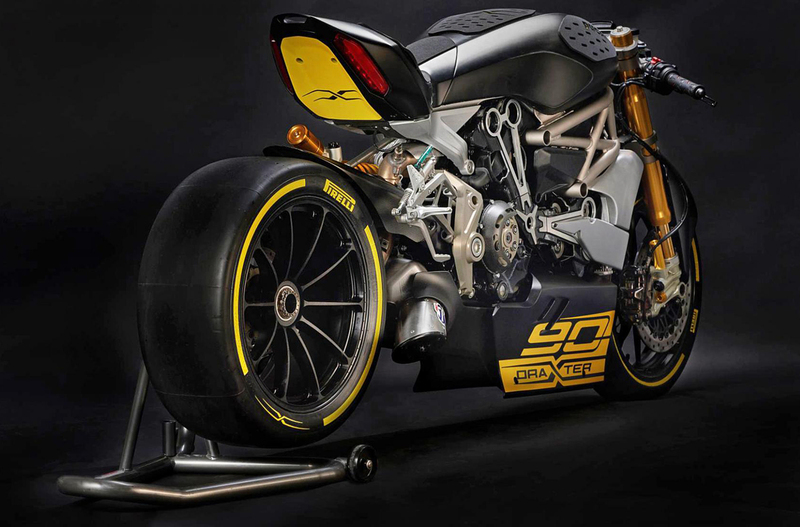 The result is a one-off walk on the wild side emblazoned with the number 90 to commemorate Ducati’s 90th anniversary. 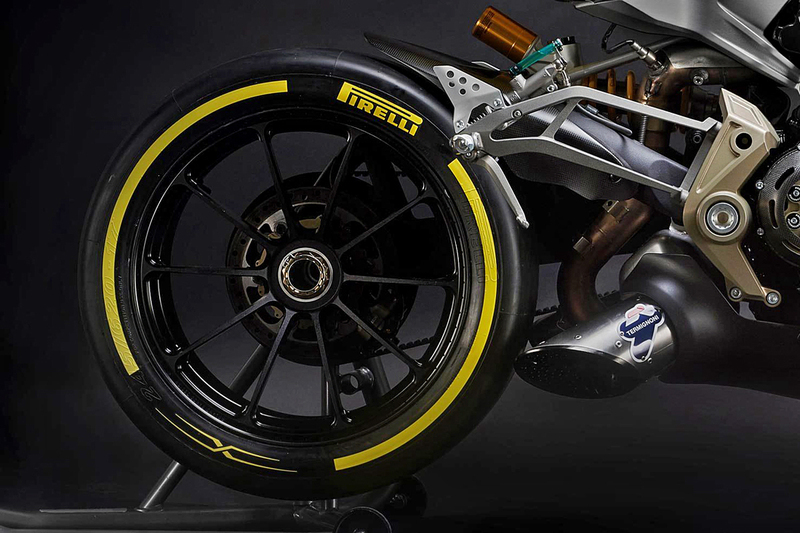 The Draxter debuted in January at the Motor Bike Expo in Verona, Italy.